how good were the superchargers back in 1957? 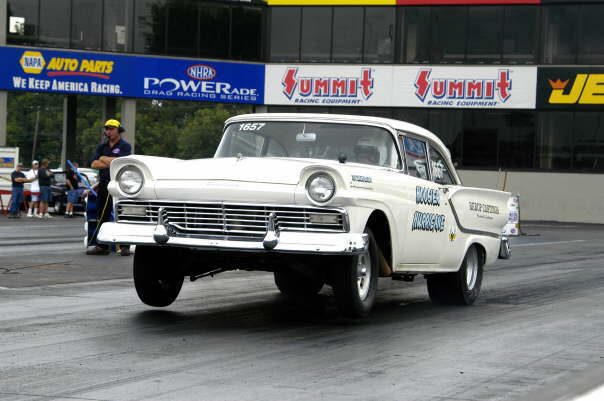 #2, This one is running 11s with a '57 vintage charger, so they were obviously doing something right. The optional supercharger on the Fords that year (not the same one that is in this car, I don't think) made between 300 and 350 horsepower, depending on if you ordered the NASCAR piston kit or not (few did). lesson to ricers: notice how he goes fast without neons, wings, lots of stickers, and a crazy paint job.